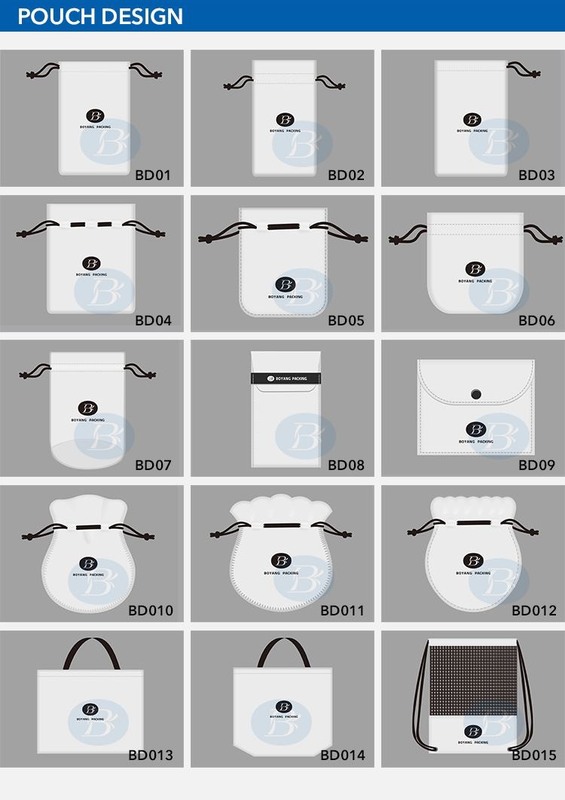 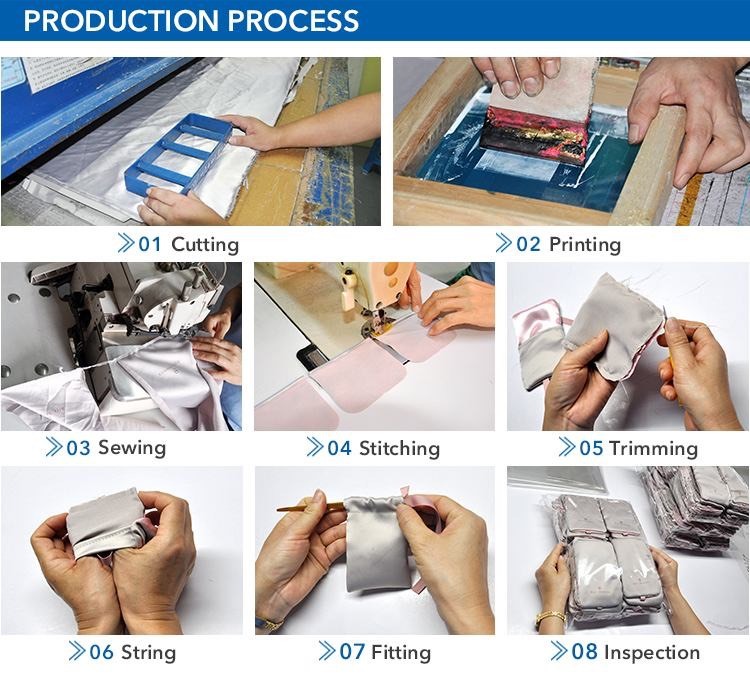 BoYang packaging company provides the design of velvet drawstring bag and pouches wholesale, which can provide samples. 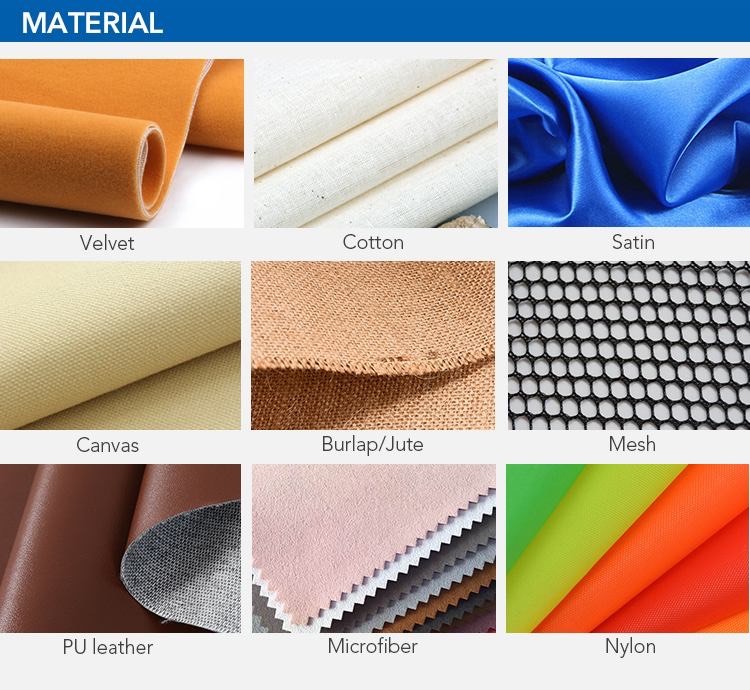 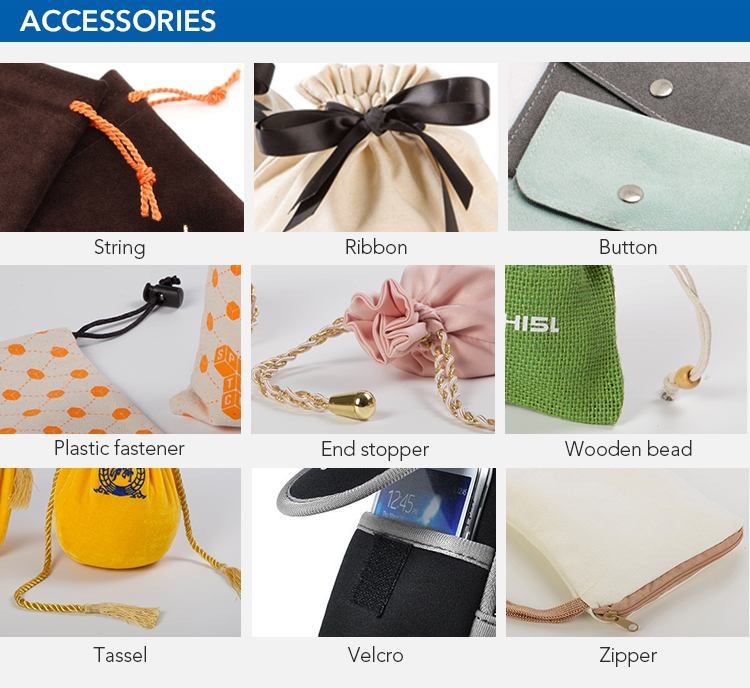 These materials can be used by the velvet drawstring bag. 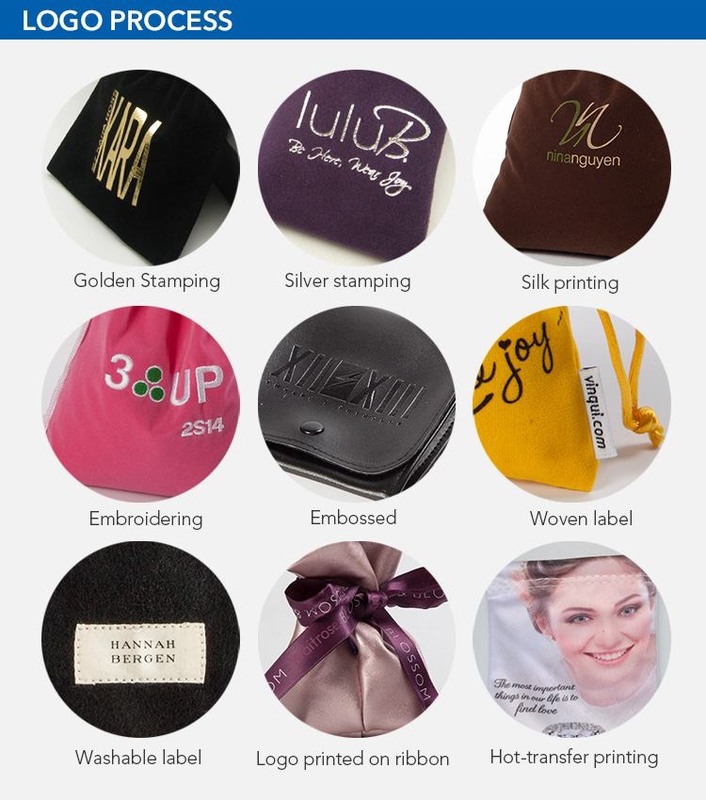 The picture below is the embedded form of the LOGO on the velvet drawstring bag.